This is an original concept painting for the 1992 film, Tom and Jerry: the Movie. This concept painting was used as a background color key to develop the color pallet and look of a scene in the film. 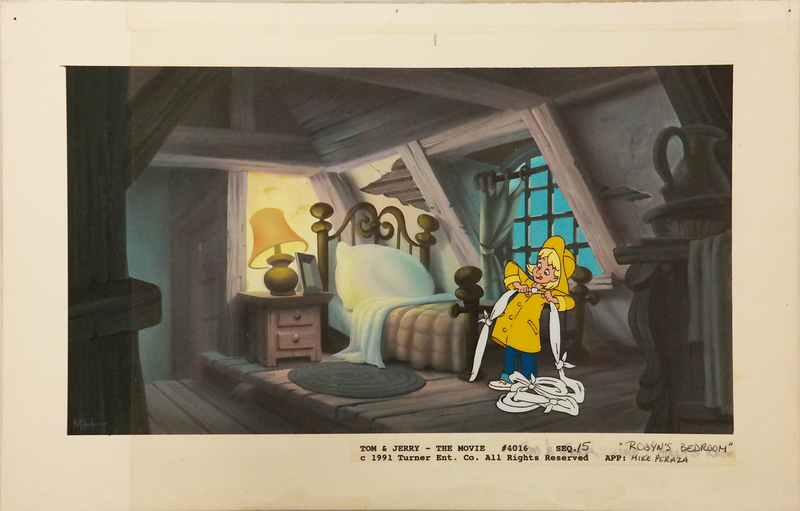 There is a hand-painted test cel featuring Robyn created specifically for, and placed over the background to test the character's colors. The set-up measures 7.5" x 12" overall.